Being a kid in 2019 looks a lot different then it did when I was growing up in the 1980s. Nowadays, almost every child you see has their own tablet or smart phone, kids tend to have every minute of every day scheduled for them, and playing outside for the fun of it is becoming a thing of the past. One St. Louis group has come together to try to bring good old fashion fun back into childhood. Play-MO is a new organization whose primary objective is to promote child-directed play. Play-MO’s pop-up adventure play is based on a system originally created in the United Kingdom. The idea was conceived as a way to introduce public celebrations of child-directed play where children are allowed to play by their own rules. 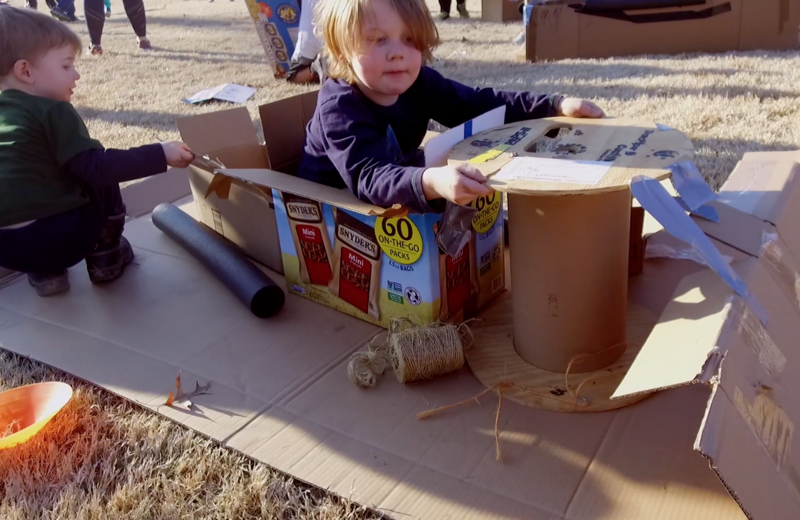 This model of organized yet unstructured play dates have been popping up all over the country as a means of getting people used to the idea of just letting kids do their own thing. Play-MO is the first organization of this type in the St. Louis area. 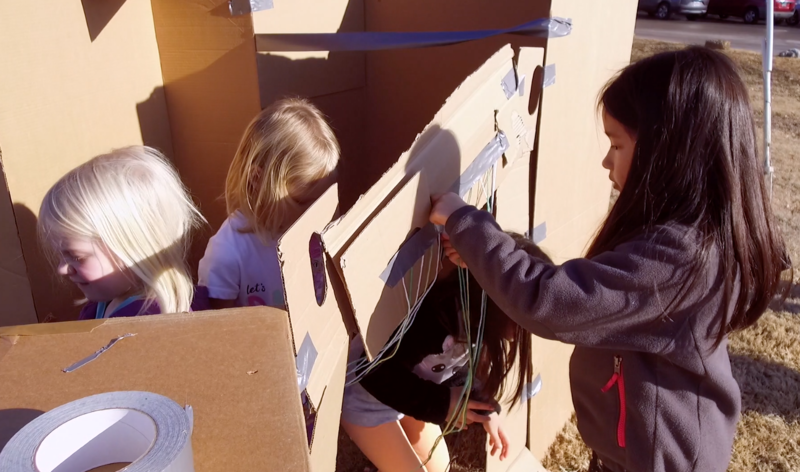 Child-directed play benefits children in many ways including learning problem-solving skills, taking healthy risks, pursing their own interests, learning teamwork, becoming creative thinkers, and above all having fun. Research shows that it helps develop cognitive, social, emotional and physical wellbeing as well as leads to academic success. Between safety concerns and innumerable after school activities, adults are directing more and more of kids time. Kids don’t have the opportunity to decide what it is they want to do. A Play-MO play date includes a lot of loose parts. These parts can include a variety of things such as cardboard boxes, fabric, tape, tin foil, egg cartons, scissors, yarn and more, as well as items found in the natural environment. These loose parts help spark the children’s imaginations and enhance play. 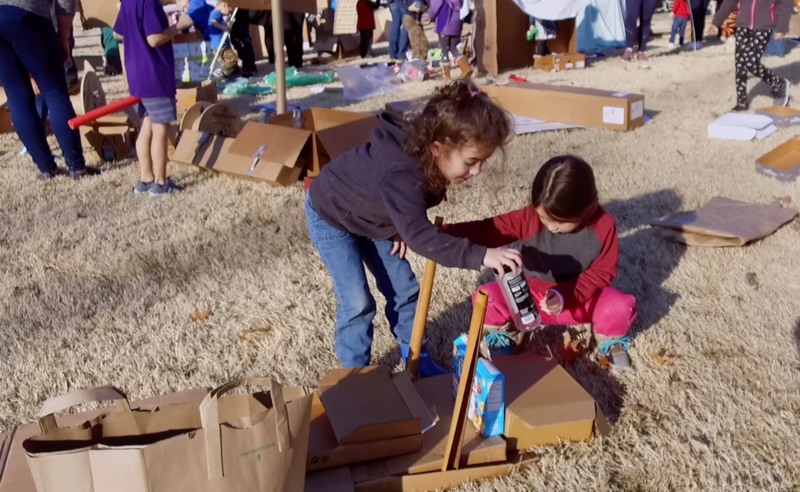 The plan for Play-MO’s directors’ is to grow to the point of having monthly play dates in their own outdoor space. If you are interested in learning more about Play-MO contact Katelyn Horn at katy.horn@gmail.com or visit their Facebook page facebook.com/playmissouri/.